Day 26 on the challenge I we have inspired by a pattern. I find this prompt pretty easy, as there are so many patterns out there, and so many of them are now available on stamping plates, which make it so easy to great very neat and accurate patterns. 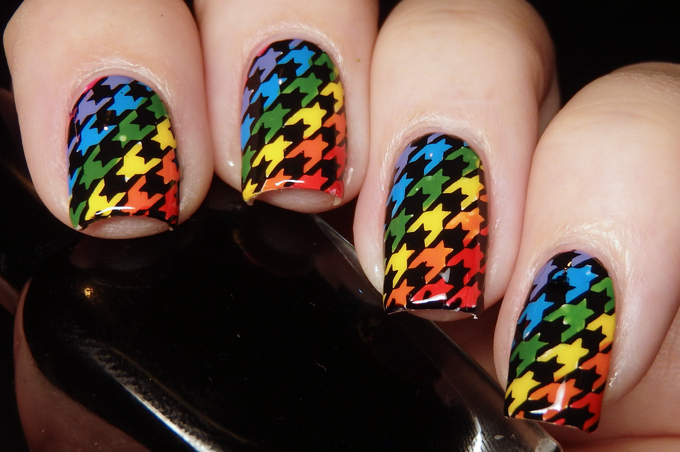 The pattern I chose this year is hounds tooth. 99% of the time you see this pattern it is done with black and white, so naturally I had to spice it up a bit and make it really bright, especially as we are into spring down under! 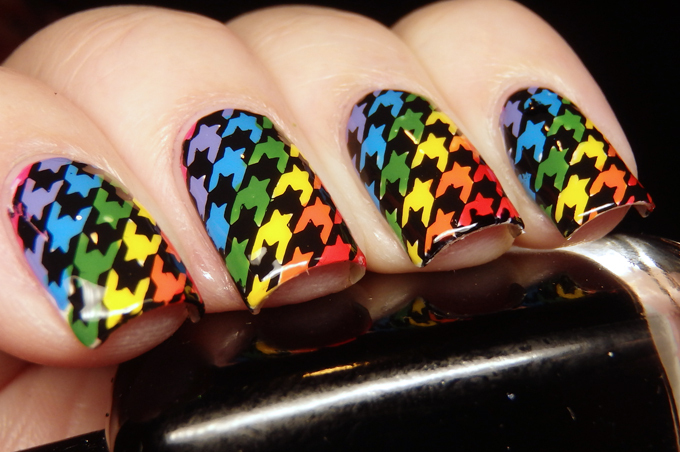 I created stamping decals for this mani, because it is way easier to colour the patterns in on a silicone matt than trying to do this any other way. 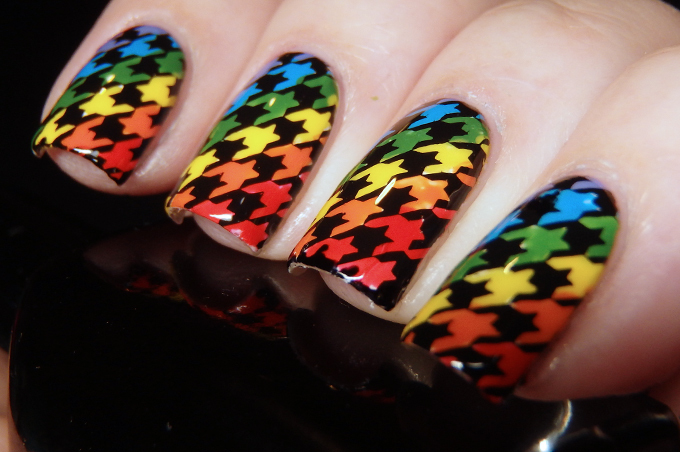 In fact I don't even know how we used to do nail art like this before the invention of silicone mats. Other than just doing them one at a time on the stamper?? 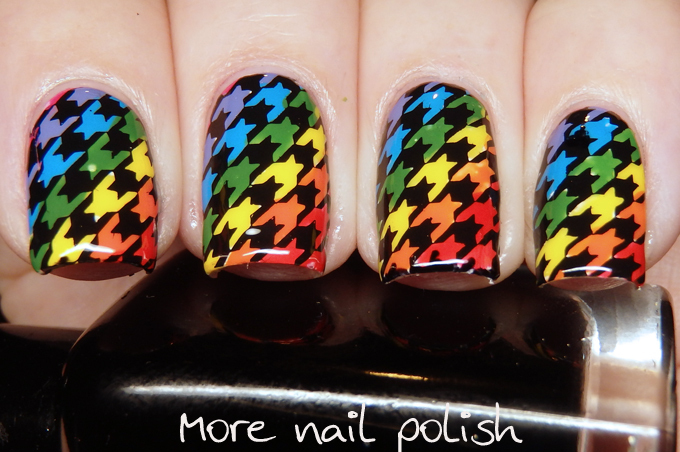 My inspired by a pattern nails from 2013 and 2014 and 2015! It was so smart to make it as a ranbow! I love it!